At Moe Hannah, we’ll help you make informed decisions for your family’s future. Divorce or separation isn’t something that people normally plan for. It can be a very stressful time. Decisions that you make during this period will affect you and your family for years to come. Getting early legal advice is very important. Your first steps often determine much of what follows. Your steps should be chosen carefully and thoughtfully, with the guidance of experts in family law and the practical realities surrounding separation and divorce. 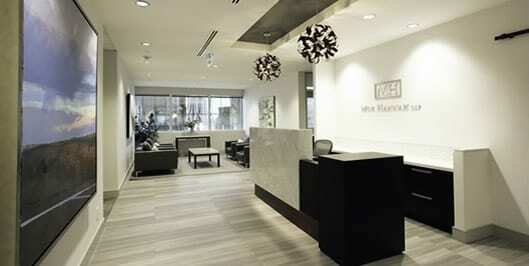 At Moe Hannah, we devote our practice entirely to divorce and family law. Our job is to educate and empower you so that you are confident to move forward with your life. As our client, we ensure that you will make each decision with your eyes wide open and a clear understanding the possible consequences of your decisions. We do our best to help settle your divorce or separation in a sensible and fair way at a reasonable cost. Whether it’s in or out of the courtroom, we’ll work with you to determine the approach that best suits the needs of you and your family. We can help get you on the path to resolving issues in a respectful and transparent way through a variety of options. We’ll help you understand the benefits and drawbacks of collaborative negotiation, mediation, arbitration, litigation or legal advice for self-representation. In those cases in which settlement is not possible, we bring our decades of experience and resources to arbitration or court on your behalf.